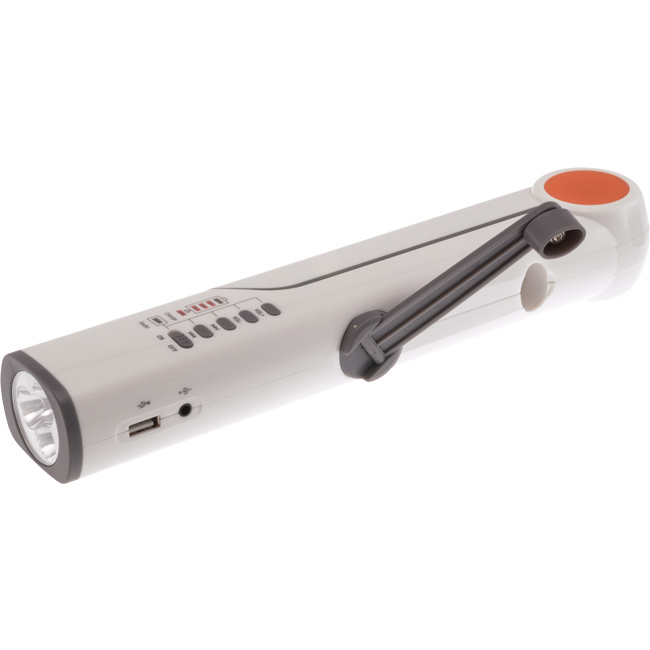 Ever been stuck in the dark with a torch with flat batteries?! The XLN609 is a convenient solution for emergency situations, and has all the features you could need when a crisis occurs. 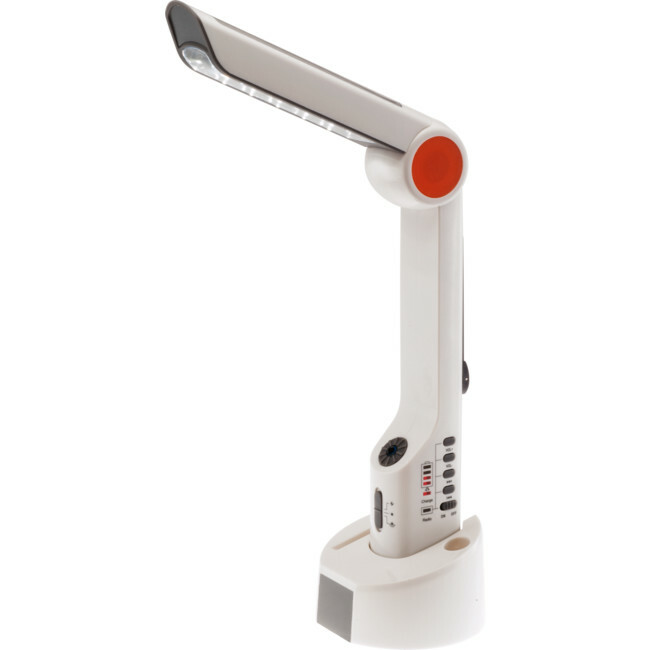 Featuring a fold-out, 12 LED table lamp, 3x Super-bright LED torch, FM Radio, and a Siren with Flashing Light, the XLN609 has everything at hand without multiple pieces of equipment. 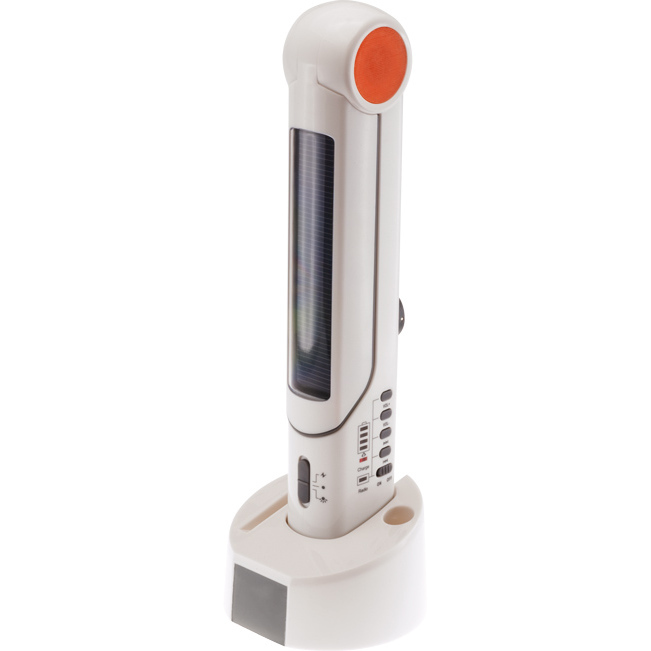 For extended periods without electricity, the XLN609 is capable of being charged via hand-crank, and can even charge your mobile phone! 3 methods of charging—solar, USB, and hand-crank! 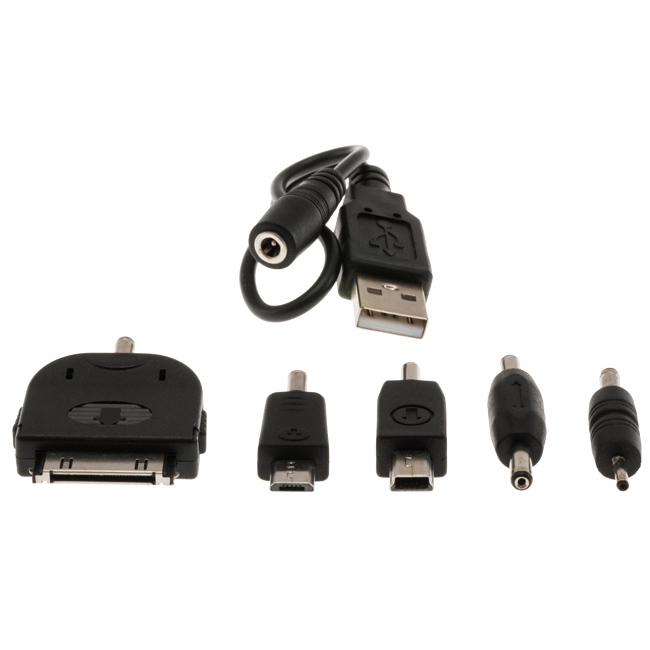 Portable USB charger built-in—charge your mobile phone or other USB devices from stored battery power!